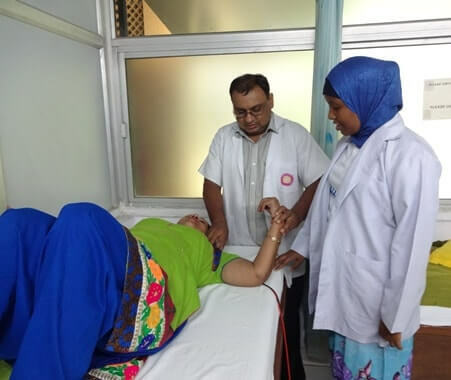 Volunteering Solutions offers amazing and affordable internship opportunities in India which can help you to gain valuable work experience in the areas of Medicine/Healthcare, Dentistry, and Physiotherapy. The internship programs are available in the capital city of New Delhi as well as the Himalayan town of Palampur. Students pursuing medical studies, nursing or dental courses are eligible to be a part of these programs. Under the Medical & Healthcare or Dental Internship Program, you'll be working in a public or private hospital, shadowing the professional doctors and nurses, and assisting them as and when required, as per your experience and educational qualifications. We also have opportunities available for those who wish to work for the physiotherapy department as well, where students are placed in physical therapy clinics or hospital placements. Students are also occasionally placed in rehabilitation centers for disabled students. Why should I be a medical intern in India? 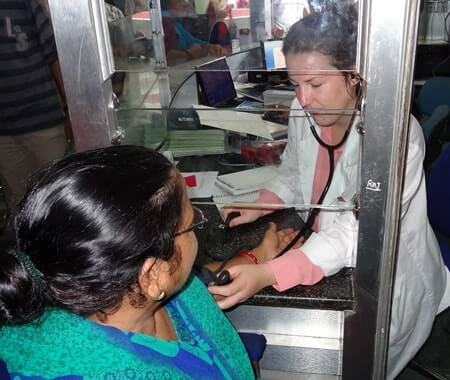 Being an intern, you'll not only get to learn from the experts and gain first-hand international work experience, but you'll also understand how the healthcare system works in a developing country like India. You'll be able to contribute effectively towards the well being of those who need your care and treatment. Also, it'll be a stepping stone for your career and help you to boost your CV. When should I apply for the volunteer programs in Dharamsala/ Palampur? Usually, it takes around 10 – 12 working days for the application to be processed and placement to be confirmed. After we review your CV and documents your booking is confirmed and the booking confirmation is updated in your My Account and you can view the information in your account. The application acceptance depends on the availability of seats in the project as well as the eligibility criteria of the program (age, skills and experience etc.). 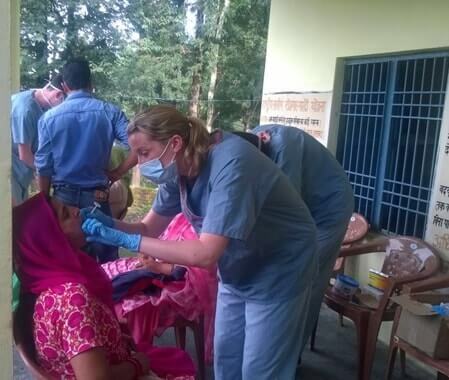 Are there any necessary requirements to participate in the India-Palampur Volunteer Programs? 16-year-old volunteers can participate in Childcare projects with a Letter of Consent from the parents. Volunteers need to have an open mind and flexible attitude for working in a new and different environment. India is a country of different culture and traditions, though it is modernized, the cultural sensitivities need to be kept in mind before volunteering in India. The volunteers should bring energy and enthusiasm to make a difference. Participants joining the Medical Program, must be either Pre-Medical, Medical or Nursing student. Yes, you are welcome to take part in India Volunteer Programs as part of a group. We welcome families, friends, high school students, college/university and corporate groups to volunteer together in the India program. Volunteering Solutions India program has hosted large student groups as well as families coming to volunteer in the program. We have hosted groups, from universities in UK, Europe, and the USA as well as other countries, in Palampur. Yes, most definitely, you can as we believe every participant brings something new to the project. If you do not have previous experience, we offer you the opportunity to have a great start with us. We make international volunteering easy – not only are our Volunteer Abroad opportunities rooted in offering you extensive support, but they are also very affordable. When do I need to arrive in Palampur for my program? What will happen once I reach Palampur? All volunteers need to arrive in Palampur on the starting date of the program. Volunteers will be picked up from the Gaggal Airport in Dharamsala by a driver assigned by the local coordinators. Dharamsala is connected to Delhi by daily direct flights. Volunteers who have opted for the Orientation Week in Delhi will travel to Palampur post the completion via bus or flight, depending on their choice. After you arrive at Dharamsala airport, you will be picked up by our local coordinator and transported to Palampur. On the way, you can enjoy the scenic view of the Himalayan mountains and lush green landscapes. On the next day, you will be given a short orientation and told about the program, daily schedule, safety guidelines, market tour and weekend trip options. All enrolled participants are provided information on the appropriate Visa requirements for India in the pre-departure manual. You can also contact your pre-departure point of contact to know more about the Visa requirements. What are the recommended modes of transport to arrive in Palampur? From Delhi, you can take a connecting flight to Dharamsala Airport (Airport Code: DHM). Air India and Spice Jet have daily flights between the two cities. Pickup by our local project coordinator is provided from Dharamsala Airport. Volunteers can also choose the option to take the direct overnight bus from Delhi to Palampur. Overnight air-conditioned bus service operates between the two cities. You will be picked up from Palampur bus station and transferred to the accommodation. How safe is India and Palampur in general? India is a country of diverse cultures and practices. Like in any new foreign country, participants are advised to follow the guidelines specified by the project coordinator to enjoy their Indian experience fully. The program coordinators are always ready to help and give helpful safety tips. During the first day of the orientation, you will be given safety guidelines and will be informed about do's and dont's. Your program coordinator in Palampur will take you to your placement and introduce you to everyone after giving you a basic orientation about the program/city/culture etc. You will be told about the directions to the project from your accommodation and the mode of transport which you can use. Most preferred mode of transport within the town is the public bus, and the coordinator will be more than happy to guide you regarding that. Volunteers are provided accommodation in volunteer house accommodations. Participants of same gender share rooms together and there are attached toilets with the rooms. Volunteers are provided with all meals (breakfast, lunch, and dinner) at the accommodation. Meals are freshly prepared by the cook in the house. The local market is not far away and in the evening you can also head out for a pleasant walk in the vicinity. Depending on your project placement, you may get evenings and weekends free to travel and explore the place. Palampur is a great location for volunteering since you also have ample options for quick weekend getaways. Hill stations like Mcleodganj, Dharamsala, and Manali are nearby which can be visited over the weekend. Adventure activities like trekking and paragliding can be taken up during weekends. Billing, which is a few kilometers away from Palampur, is a world famous site for paragliding. Are there more expenses once I arrive in Palampur? Your program fee does not cover your personal expenses. You will need to provide for yourself your personal expenses, such as bottled water, local transport, telephone, shopping, sightseeing etc. However, you should carry around $40-$50 per week for your basic personal expenses. This amount can vary and you would need a higher amount if you choose to go on weekend trips out of town. Depending on the project, selected volunteers will work during the week from Monday - Friday. You will have the weekends to travel and explore. However, volunteers need to be flexible, open minded and understand that work requirements can change as well on certain occasions. To add to the project experience while you can also join the Language and Orientation Week in Delhi before beginning the program in Palampur. It's an optional week, besides that we recommend participants to brush up their Hindi skills (learn basic terms and phrases, greetings) before traveling. Where can I change my money in Palampur? Are there ATMs in the city? ATMs of major banks like HDFC, ICICI, and SBI are available in Palampur and money can be easily withdrawn. Currency Exchange Counters are also available in some of the banks in the city. How can I connect with past Volunteering Solutions Palampur alumni as well as other former and current volunteers ?